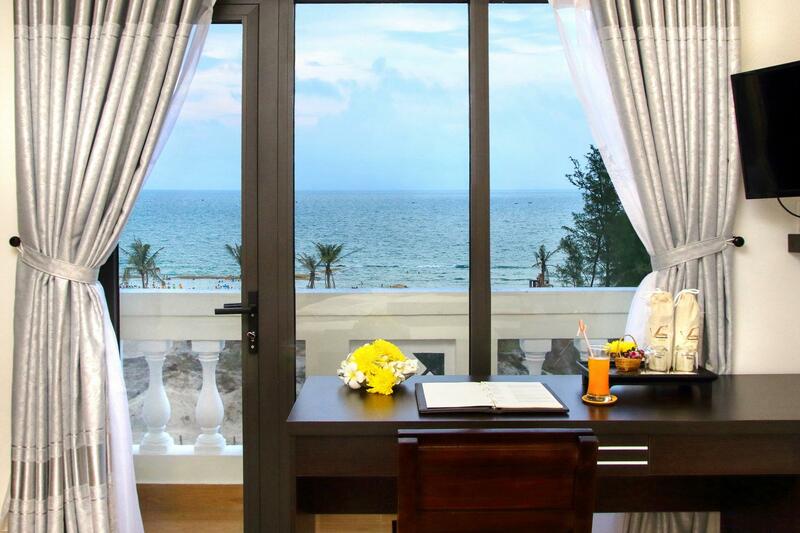 Sie haben eine Frage zum Viet Long Hoi An Beach Hotel? Das Viet Long Hoi An Beach Hotel befindet sich an idealer Lage (die Gegend Cua Dai ist lokal sehr beliebt) und eignet sich sowohl für Geschäftsreisende als auch Urlauber. Rund 5km von der lebhaften Innenstadt entfernt, verfügt diese 3-Sterne-Unterkunft über eine ausgezeichnete Lage und bietet Zugang zu den wichtigsten Attraktionen der Stadt. Aufgrund ihrer günstigen Lage bietet die Unterkunft den perfekten Ausgangspunkt zu den wichtigsten Attraktionen, die man gesehen haben muss. Die Unterkunft scheut keinen Aufwand, es den Gästen so bequem wie möglich zu machen. Die Dienstleistungen und Einrichtungen der Unterkunft gehören zu den klassenbesten. Die Unterkunft bietet zahlreiche Einrichtungen vor Ort, die selbst dem anspruchsvollsten Gast gerecht werden. Erleben Sie qualitativ hochwertige Zimmereinrichtungen einschließlich kostenloser Welcome Drink, Bettwäsche, Spiegel, Nähetui, Hausschuhe und mehr, die Ihnen nach einem langen Tag das Abschalten leicht machen. Die Unterkunft bietet viele einzigartige Entspannungsmöglichkeiten an, darunter Außenpool, Spa, Garten und weitere. Das Viet Long Hoi An Beach Hotel garantiert einen entspannten und komfortablen Aufenthalt in Hoi An - eine clevere Wahl. Personal sehr hilfsbereit und freundlich. Frühstück a la Carte und sehr gut. Pool ist klein und liegt zur Straße hin. Lage nicht ganz optimal zur Stadt ca. 1 Stunde zu Fuss. Roller ist sehr sinnvoll. Taxi zur Stadt ca. 4 €. Tolle Lage. Über eine Straße und einen kleinen Weg mit ca 80 m zum Strand. Dort kann man Schirm und 2 Liegen für 50000 Dong mieten. Herrlicher feiner Sand. Man ist auch gleich im Ort. Es gibt dort viele Restaurants. Wir hatten im Hotel ein Familienzimmer. Das war schön groß mit kleinem Balkon und einer schönen Dusche. Alles hat prima gepasst. Besonders hervorheben möchte ich Damen von der Rezeption. Sie sprechen sehr gut englisch und haben sich auch sehr für uns eingesetzt , da wir Schwierigkeiten mit der Kommunikation mit anderen Agenturen hatten. So konnte schnell Abhilfe geschaffen werden. Kurzum jederzeit wieder ! 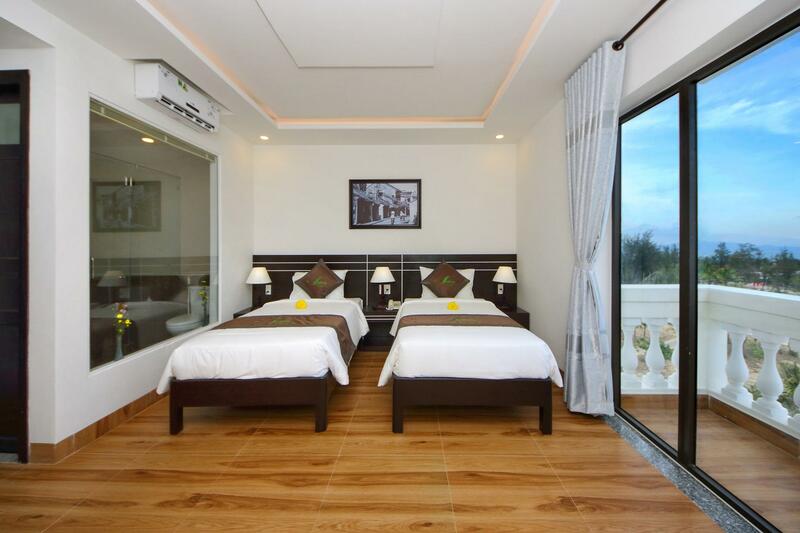 I did not mind the location but if you want closer to Hoi An or the beach another accommodation would be better suited. The staff was very friendly and super accommodating! At first this is a basic hotel with a tiny pool. Nothing fancy. The rooms are nice. new and very clean. Bathrooms have the new windows so you can see your partner take a dump or shower. Breakfast is good. Eggs the way you want them. Pho and croissants and of course fresh fruits and baguettes. Even the coffee was good. Good hotel and worth the price. We booked two adjescent twins for 54 euro. Tv. Balcony. Aircon. Safe. it's all there. No blackout curtains though. They provide bicycles for 40k a day. The hidden gem of this hotel is something I would advertise but they don't. We arrived and the receptionist told us that apart from the kiddie pool in the front garden we were allowed access to the beach club across the street. This is an overpriced beach club with a very nice pool, garden, lounge beds and parasol ON the beach worthy of a five star resort. Palm trees and all! Absolutely great! Drinks and food are way overpriced though. But you are not obliged to order anything. The vietnamese food in the restaurant is very good but not the western food. I was there during the FIFA World Cup and games at 1:00 were shown downstairs with the owner joining us to watch and even still cooking some midnight soup. The hospitality reminded me of my first years in Vietnam and made it clear to me why living here is a joy (mostly). 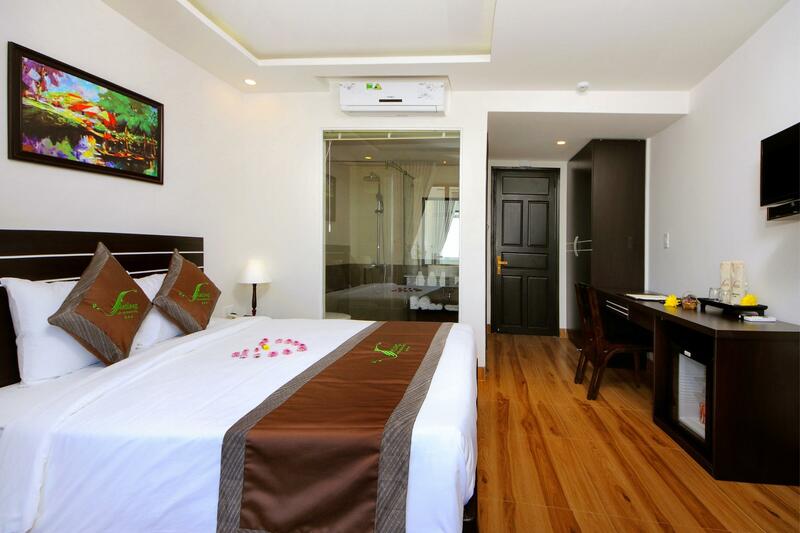 My fiancé and I stayed here during our time in Hoi An. We’re extremely happy we chose Viet Long Hoi An. The staff provides a service that is unmatched. They bent over backwards for us. The rooms and hotel in general was clean and very comfortable. A real plus about this place is it is away from all the craziness of Ancient Town in Hoi An. The beach and amazing fresh seafood restaurants are located just across the road as well as a beach club with pool, bar, cabanas, and restaurant that is accessible to guests. It is very easy to get a taxi, grab, motorbike, or (if you’re feeling like getting a workout in) bike to ancient town for a day or two. I highly recommend and we will be back! Excellent location, well appointed hotel. The staff are so friendly and helpful with a good knowledge of english. Breakfast is fantastic, and the dinner menu is well set out.Across the road is the Puku Sports Bar which is open late and have a swimming pool for late night swims. I Highly recommend this Hotel. Clean rooms, comfy beds, nice owner/family. Good value for money. Only had some problems with their scooters (which should be checked for repair) that suddenly stopped working in the middle of the street. We were lucky to have some nice persons who helped us make it working again. The owner was super nice though and showed her concern. Quiet, clean and beautiful rooms with lot of space. The staff spoke really good English and was allways very helpful with everything. We highly recommend Viet Long An Bang beach and her amazing staff. The hotel has a lovely smaller pool and on the other side of the road we were free to use a large pool or the beautiful sea. Delicious breakfast and when we were on a trip, we could have dinner in a box. It was sad and hard to say goodbye to Vietnam and an absolutely fantastic hotel manager, which is not found anywhere else. They provide great breakfasts, they were across the road from the ocean and had a nice pool. I could see the ocean from my superior room . Very Clean and super friendly and helpful staff. We had nice family room. It is very clearn, and spacious. The personnels are friendly. Food is not very delicious at the hotel. We booked a room with sea view, but could barely see the sea as there were buildings in between. The balcony is extremely narrow and cannot fit a chair. Swimming pool was tiny and an very close to the road. The beach near the hotel is completely eroded. The staff was very nice and helpful. Hotel was clean. Restaurant was almost non existent except for breakfast which was poor. Decent hotel, but would prefer to stay in city or at An Bang beach next time. Really nice people. Beach is eroded away here and resorts mostly empty for that reason. Room and breakfast were good but hotel over priced compared to others. Pool tiny but can use a nice one across the street if you buy a beer or two. I have stayed in very few hotels that are this good. They service was fantastic, the rooms were nice and clean, and we weren't expecting it, but the clothes I had taken out of my camera bag (budget airline traveler) and laid on the counter were folded and stacked neatly when I returned. I plan on returning to Hoi An in June and I will definitely be staying here again. 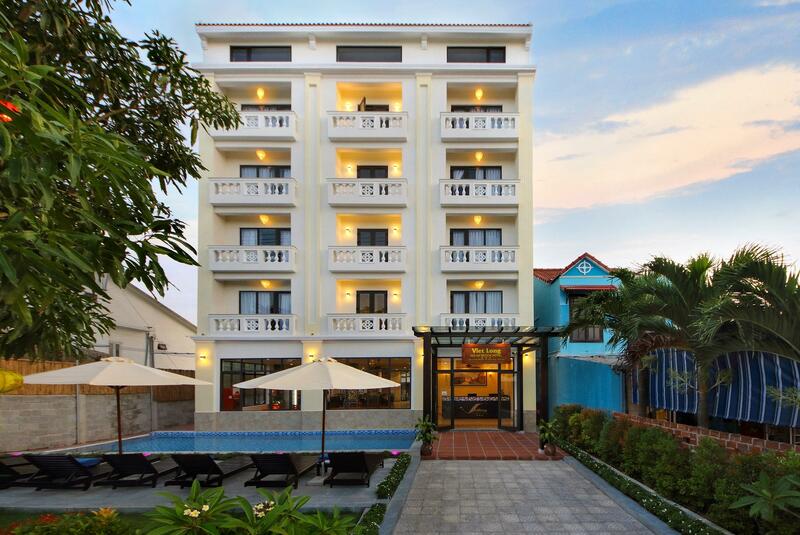 Thank you Viet Long Hoi An Beach Hotel, you made our first trip to Vietnam a great experience. We really enjoyed our stay at the Viet Long. We were there for six nights, exploring the area from December 26 to January 1. The staff were wonderful and friendly, and the food was delicious! We were surprised to find that the family room we booked was actually two adjoining rooms at a great price. Parents and kids were both happy about that. 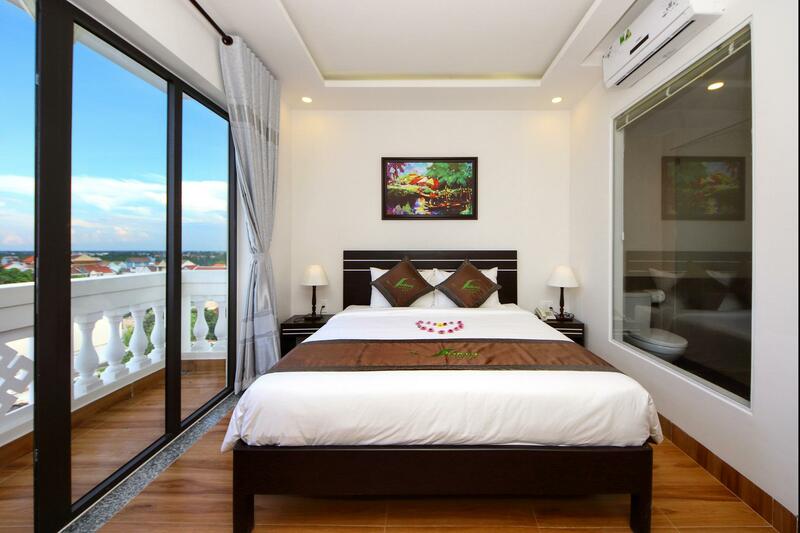 We would definitely stay here again when visiting Hoi An.